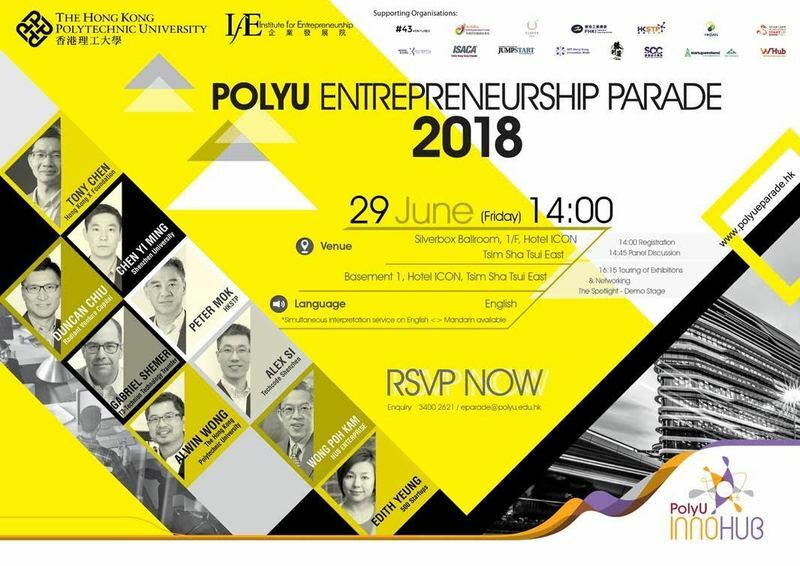 PolyU Entrepreneurship Parade 2018 aims to facilitate exchange of views by the most influential and prominent overseas and local speakers from academia and industry to help participants develop an entrepreneurial mindset and acquire insights on the latest trends. We are pleased to have invited local and overseas speakers from China, Israel, Singapore and US to share their insights and experience on “Challenges and Opportunities in Developing Innovations and Entrepreneurship in Greater Bay Area” and “Incubating Deep Technology”. The event will also bring together the amazing and diverse community of our supported start-ups to share about their businesses. Please find the event website (www.polyueparade.hk) with additional information on the rundown, speakers profile and showcasing start-ups.